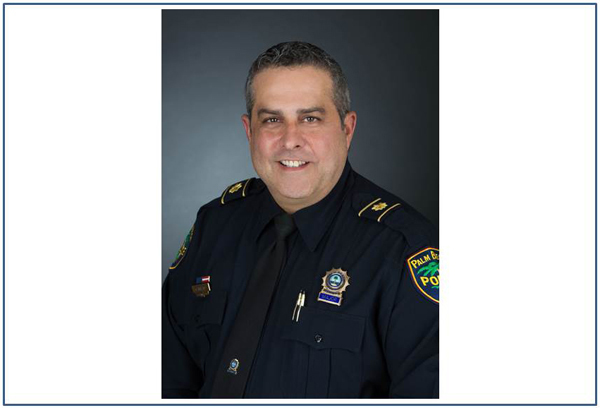 Town of Palm Beach News Release — Major Nicholas Caristo, a law enforcement professional for more than 33 years who has been the Acting Police Chief of the Palm Beach Police Department since September 2018, was officially appointed Police Chief by Town Manager Kirk Blouin. “Major Caristo has exhibited the necessary grit, integrity and dedication to this community that will lead the department into the future. He has demonstrated the courage to make the tough choices. I am confident he and his team will continue to keep the community safe and make positive contributions to the Town,” said Town Manager Blouin.